I grew up 30 minutes south of Atlanta and have been in the city my entire life, besides when I went off to college. Once I graduated, I decided to give the city a chance and actually live in the heart of everything to see how I would like it. My perception of Atlanta was never super exciting since I had grown up here and nothing was really "new" to me. I love to travel and visit new places, but for 2018 my goal was to spend the year as a tourist in my own city. It is by far one of the best goals I have set for myself this year. I started with Piedmont Park. I never thought much of it before, but why do we all obsess with Central Park in New York? Might as well give it a chance right? Whether I was stopping by to visit the farmers market on Saturday morning and hit some food trucks, or grab a King of Pops and watch people play soccer, I started feeling like I found my own mini Central park. I still haven't made it to the botanical gardens, but that is next on my to do list. A few of my favorite places to eat close to the park would be The Nook, The Flying Biscuit, Hobnob, and DBA. Next stop was Downtown to explore all the well-known "tourist" spots like the Aquarium, Coca Cola Factory, Centennial Olympic Park, and the ferris wheel. So many new businesses, restaurants, and venues have opened around that area that I had no idea about. One stop in particular I had heard of was, Switchyards Downtown Club. I wasn’t quite sure what to expect, but was very pleased once I popped in. They have the soon-to-be most insta-worthy spot in Atlanta with the “Made With Soul In Atlanta” neon sign. SUPER COOL. The building is actually a community organization for design focused local startup companies in Atlanta. When I strolled by there were guys recording for the radio downstairs next to the ping pong stadium. Needless to say I will be going back. And mark my words, this will become a new big thing. Lastly, I went to one of my go-to spots since living in the city, Westside Provisions District off of Howell Mill. You can't go wrong here. They have everything! From Brash Coffee and West Egg for brunch, to Yeah! Burger, Taqueria del Sol, or Little Star for lunch, and tapas for dinner at Cooks and Soldiers. 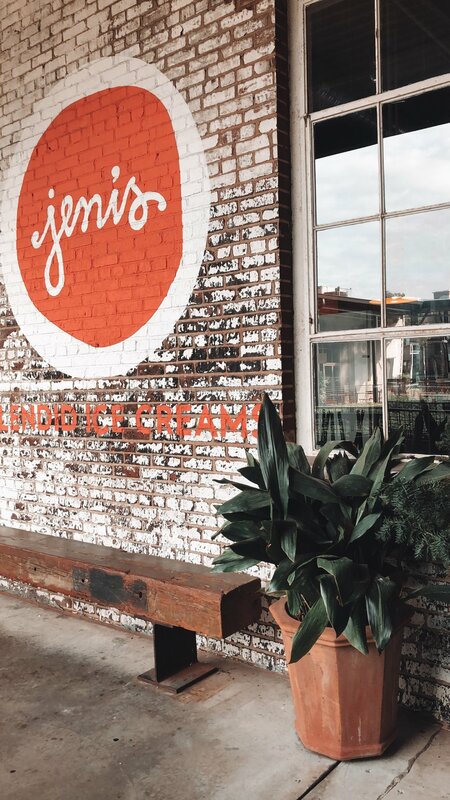 Finish all that yumminess with Jeni's Ice Cream for a sweet dessert- I could go on forever about this area. If you still have some energy left in you after all of that you should head down to Little Trouble or Ormsby's for late night drinks. 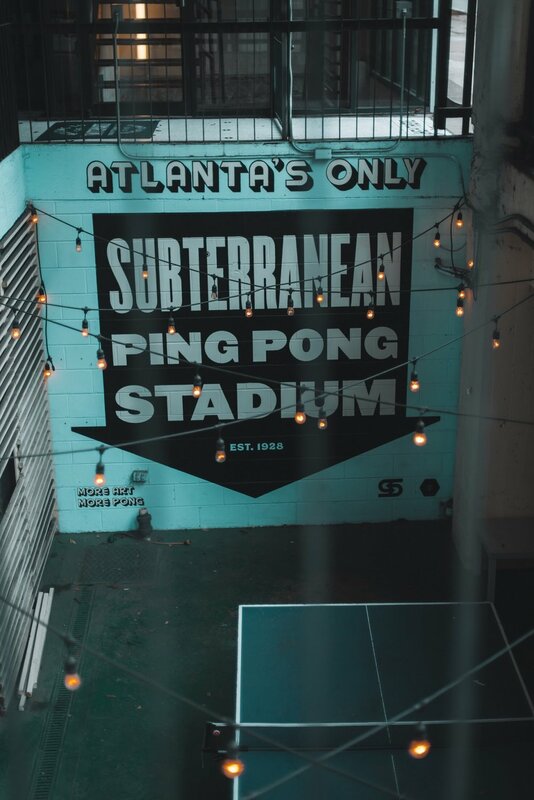 By far one of my favorite spots in Atlanta. If you have any extra time, half a mile down the road you can find Barcelona (personal favorite because I love wine), Six Feet Under, and La Fonda. All of the above get a huge yes from me. Needless to say I still have a lot of places to check out, but word of advice: make an attempt to be a tourist in your own city. Take advantage of what you can do during the week and on the weekends. Especially when it’s not very easy to just hop on a plane and end up in Europe. Don’t get me wrong, go travel and see all the things but make sure you don’t take for granted what is right down the street!